L2TOR (pronounced ‘el tutor’) is the name of a scientific research project, called Second Language Tutoring using Social Robots, funded by the Horizon 2020 programme of the European Commission from 2016–2018. L2TOR aimed to design a child-friendly peer tutor robot that can be used to support teaching preschool children a second language (L2) by interacting with children in their social and referential world. In particular, the project focused on teaching English as L2 to native speakers of Dutch, German and Turkish, and teaching Dutch as L2 to immigrant children speaking Turkish as a native language. 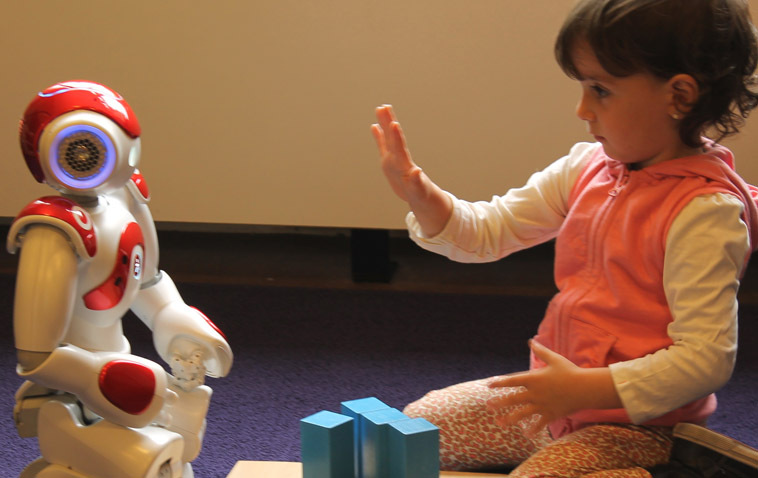 The L2TOR robot was designed to interact naturally with children aged five years old in both the second language and the child’s native language. 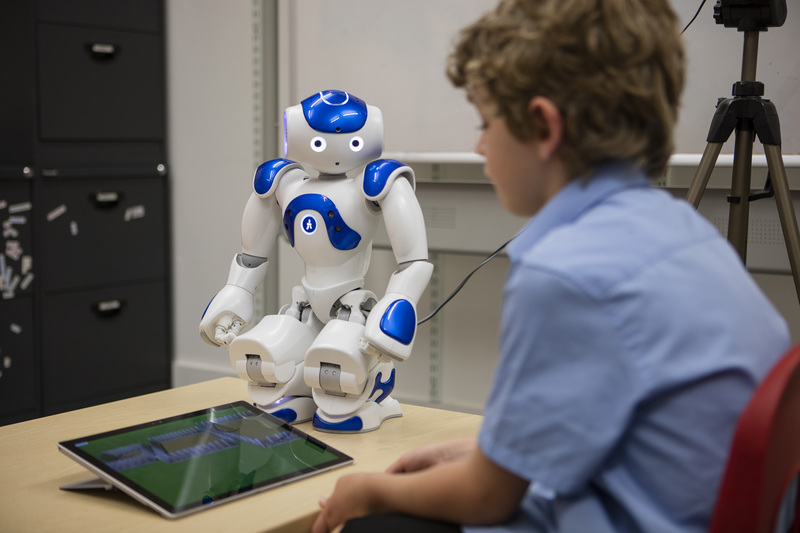 The robot’s social behaviour was based on how human tutors interact with children. It not only uses verbal communication, but also nonverbal communication, such as gestures and other forms of body language. 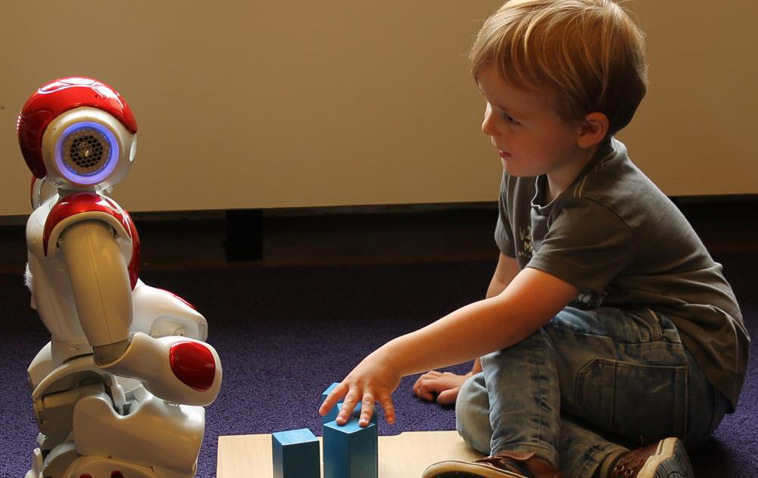 In some settings, the robot was also able to adaptively respond to children’s actions and engage with them in tutoring interactions. The children were provided with increasingly complex stimuli and utterances in the second language, as well as appropriate feedback that supports the child’s language development. The L2TOR robot was evaluated in the Netherlands (Dutch → English, Turkish → Dutch), Germany (German → English) and Turkey (Turkish → English). The robot was designed as a tool to support preschool teachers by allowing children at risk of language delay, or those learning English as a foreign language, to spend time with the robot in one-to-one tutoring sessions. As it is currently unrealistic to design a directly marketable tutor robot, the project developed a set of guidelines to aid the design of future tutoring robots for commercial use. From these guidelines the project also developed demonstrations of such a tutoring robot in preschools. This L2TOR system was designed and evaluated for two educational domains typically used at preschools, and incorporates language-based tutoring about: 1) numbers and pre-mathematical concepts, and 2) spatial language. For both domains, three lessons were defined in specific domain-relevant language, such as counting numbers or spatial prepositions (in, on, over, etc. ), which will be taught to the child. These lessons were experimentally evaluated in 9 primary schools in the Netherlands. For the results, we refer to the award winning paper and other relevant publications. For an impression of the lessons, we refer to the accompanying video.